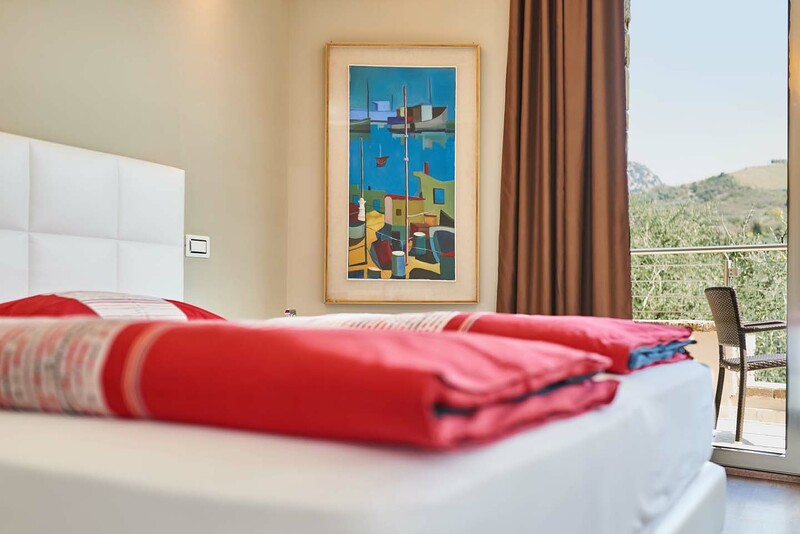 Harmony of shapes, pieces of art and modern design create a richly elegant ambiance in all our rooms, surrounded by nature. 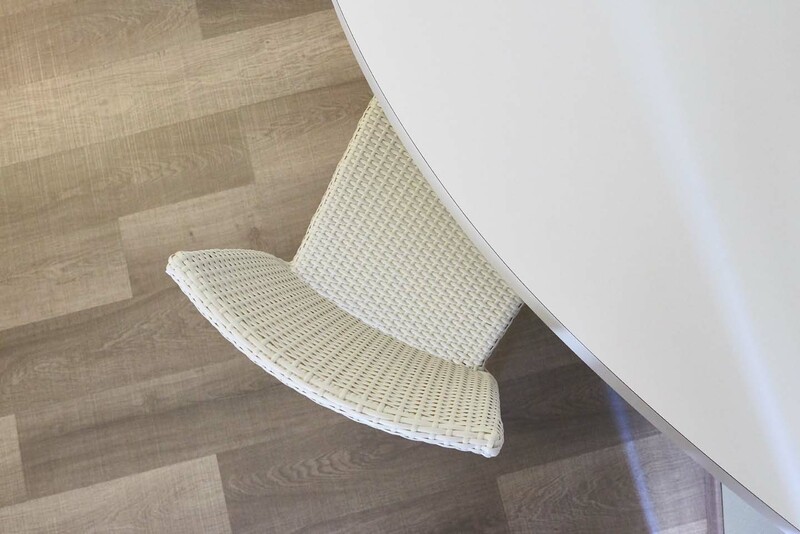 During your stay at Maso Botes every moment becomes precious, warmed by the first rays of sun, that light up our rooms from the early morning. 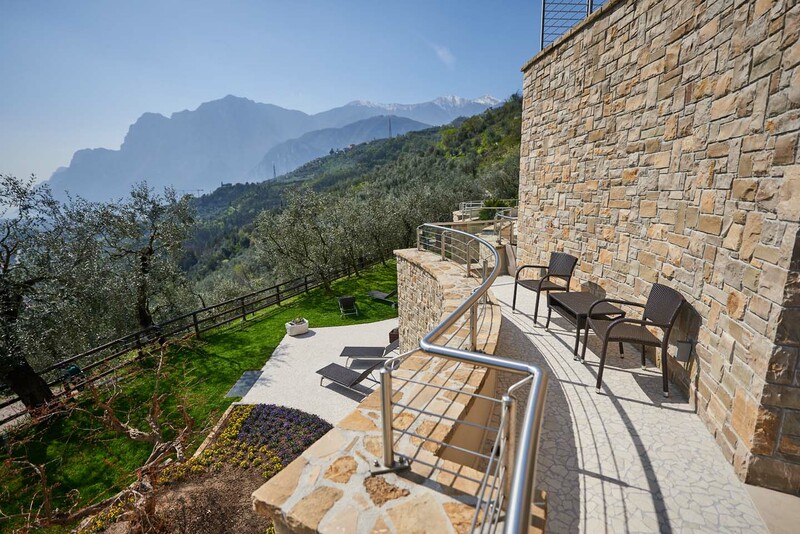 Contemporary furniture meets the enchanting view over Lake Garda for moments of relaxation. 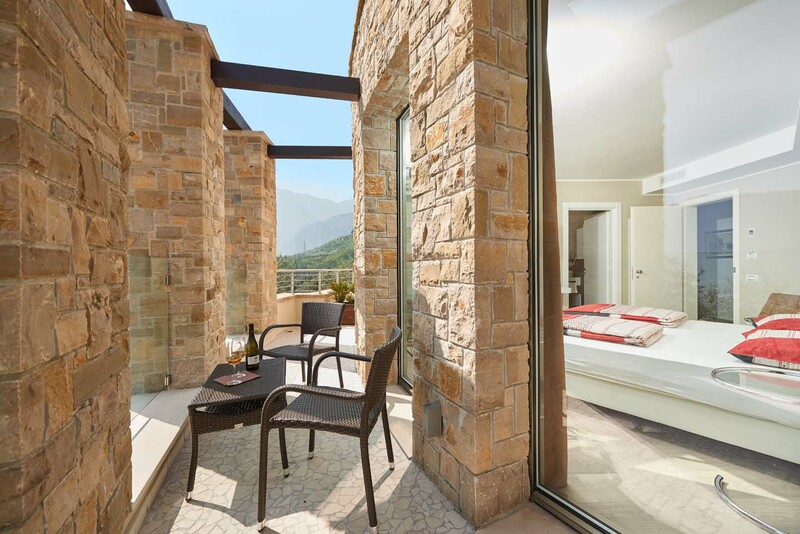 In our family suite contemporary furnishings meets the enchanting view over the Valley and Lake Garda. 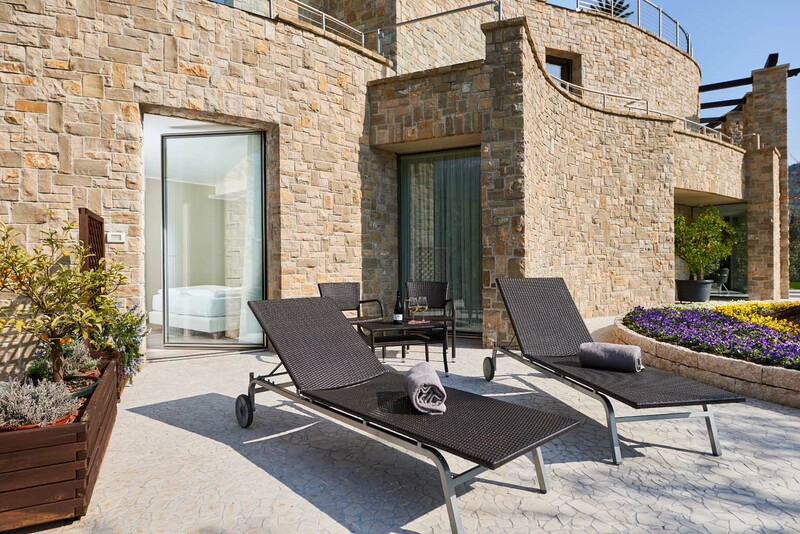 This suite has a big view terrace with sun loungers and bath towels that offer our guest all the necessary comfort to fully enjoy an unforgettable and relaxing stay. 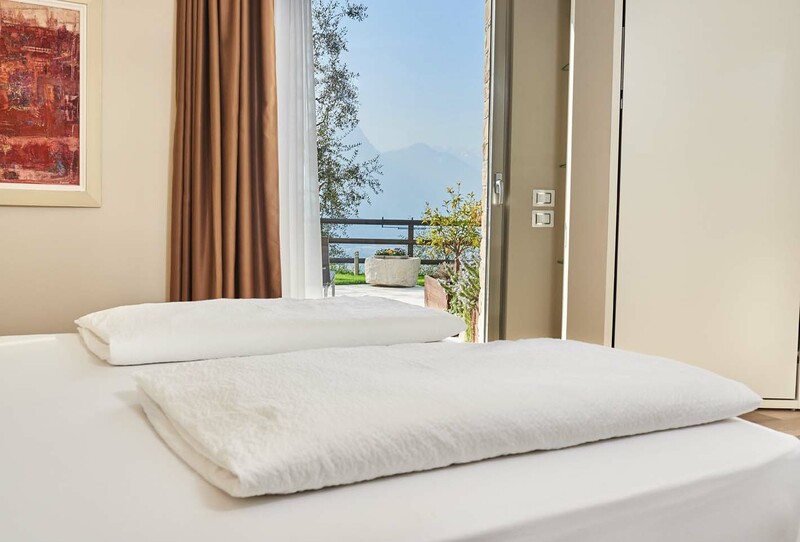 The Junior Suite is an oasis of pure tranquillity surrounded by nature, where our guest can enjoy moments of regeneration of their senses under the shade of Bougainville’s flowers. 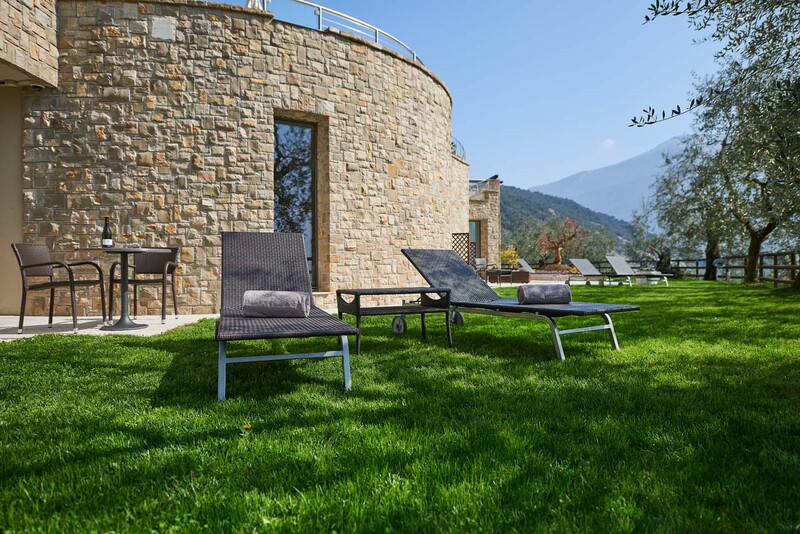 The big garden is equipped with sun loungers and bath towels. 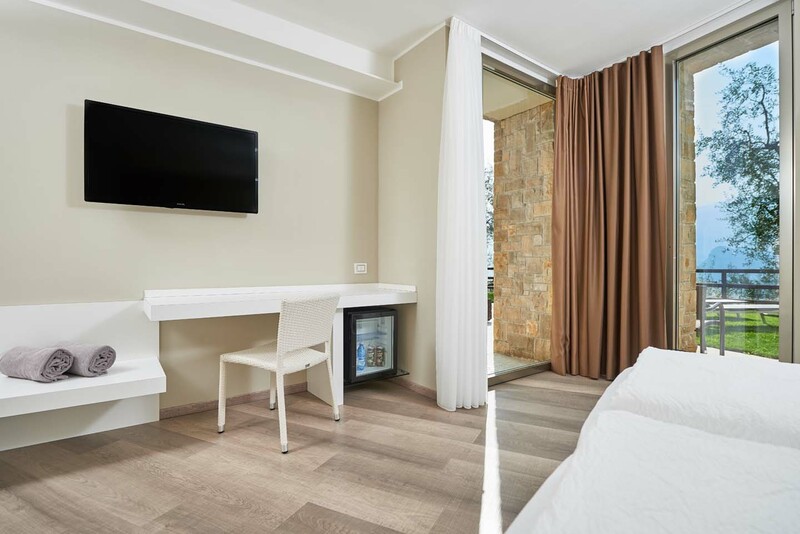 This modern junior suite has a spacious walk-in wardrobe with safe box, double bed and one extra open-top single bed, individually regulated air-conditioning, 40” digital TV, free wifi connection, minibar and fresh fruit. The bathroom in withe Corian has a King size shower, hairdryer and courtesy set. 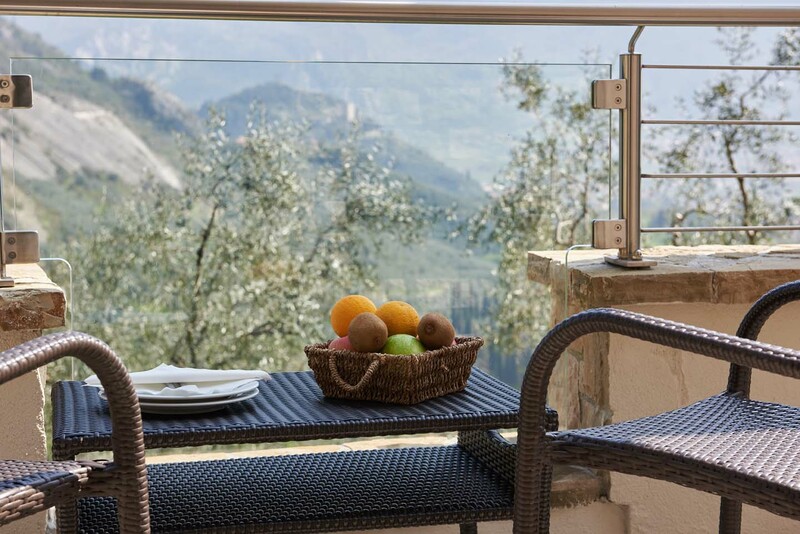 The Junior suite, an oasis of tranquillity, has a big balcony overlooking the castle of Arco and welcomes you with sun loungers and bath towels. 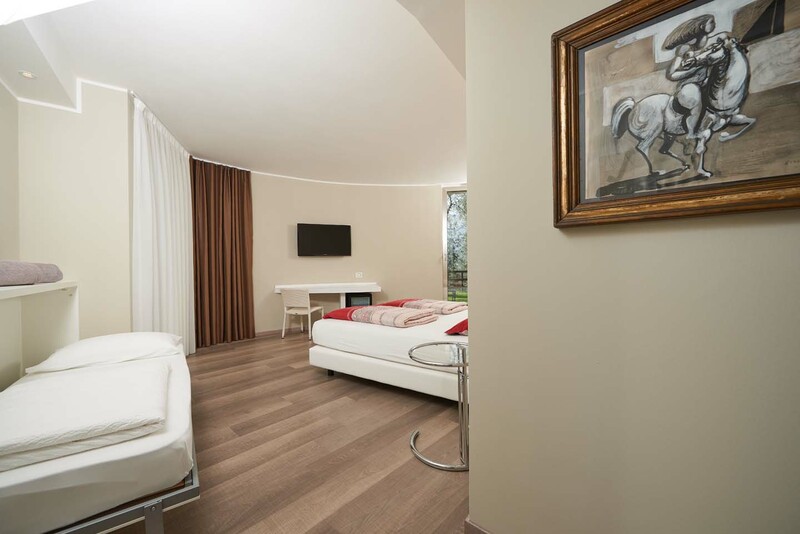 With functional and modern furnishings this room is adapted for disabled guests. 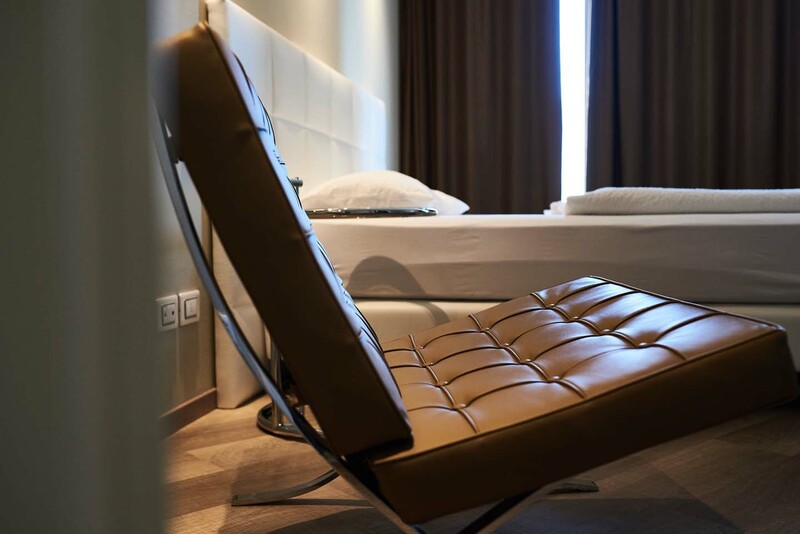 The room includes the Barcelona chair by Ludwig Mies van der Rohe, a double bed and one extra open-top single bed, individually regulated air-conditioning, 40” digital TV, free wifi connection, minibar, fresh fruit. 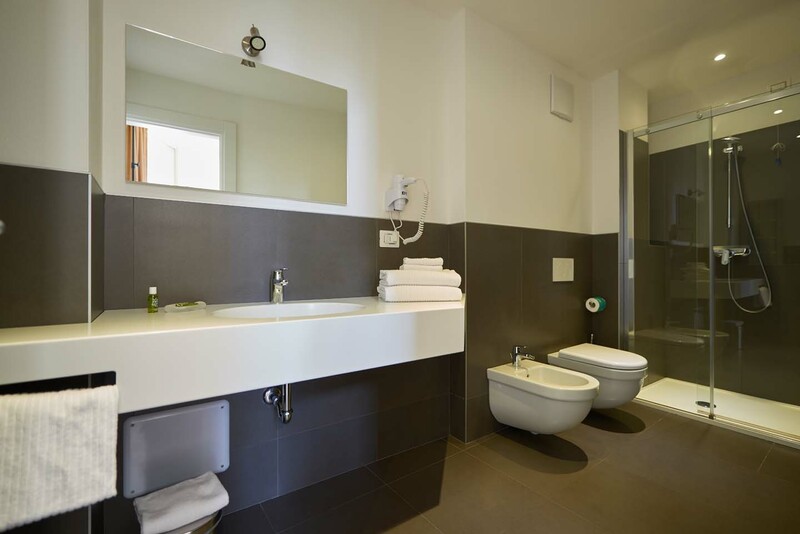 The bathroom in withe corian is equipped with King size shower, hairdryer and courtesy set. 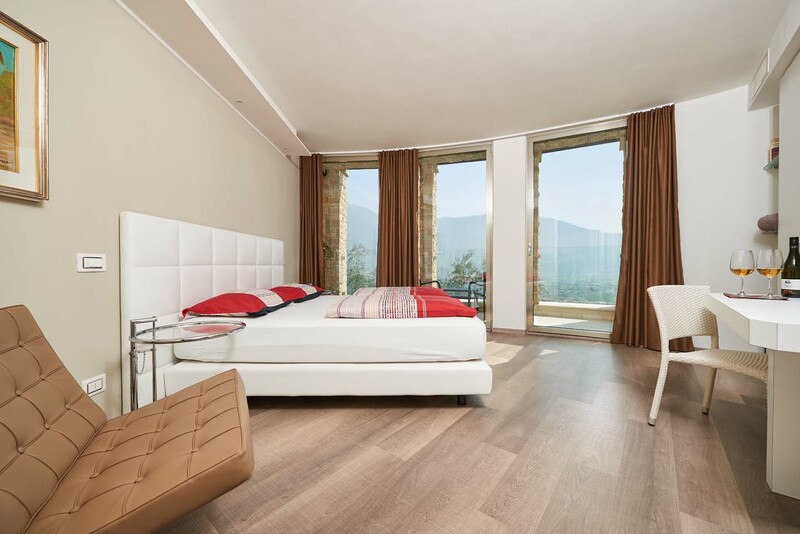 Warmed by the first rays of sun that light up the atmosphere from the early morning, this light and airy room provides you with great facilities. 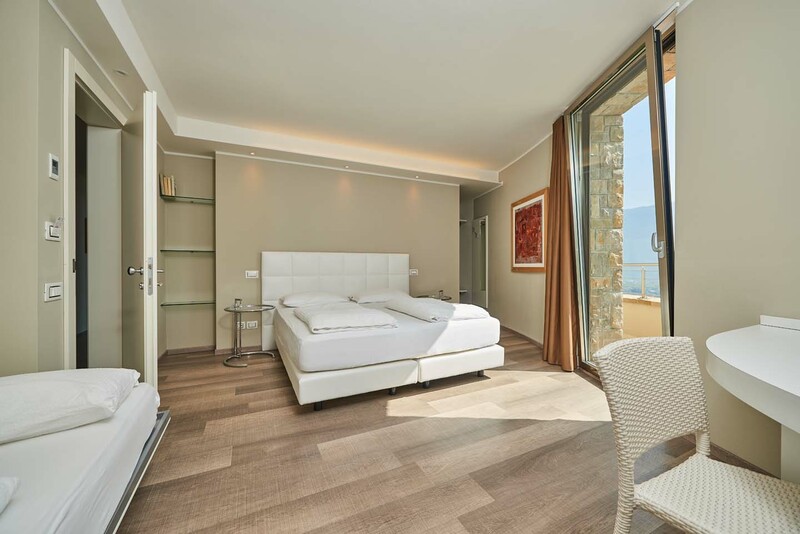 It has a roundish and harmonious architecture and has a spacious walk-in wardrobe with safe box, double bed and one extra open-top single bed, individually regulated air-conditioning, 40” digital TV, free wifi connection, minibar. 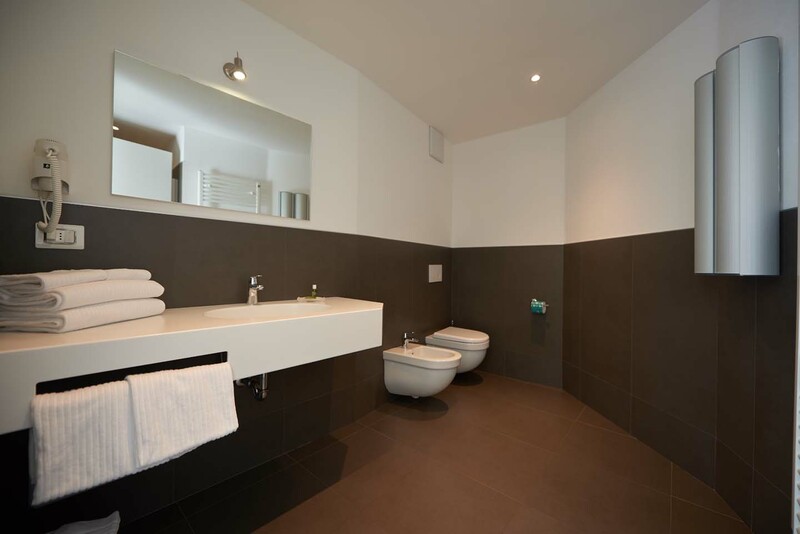 The contemporary bathroom in withe corian is equipped with a king size shower, hairdryer and courtesy set. 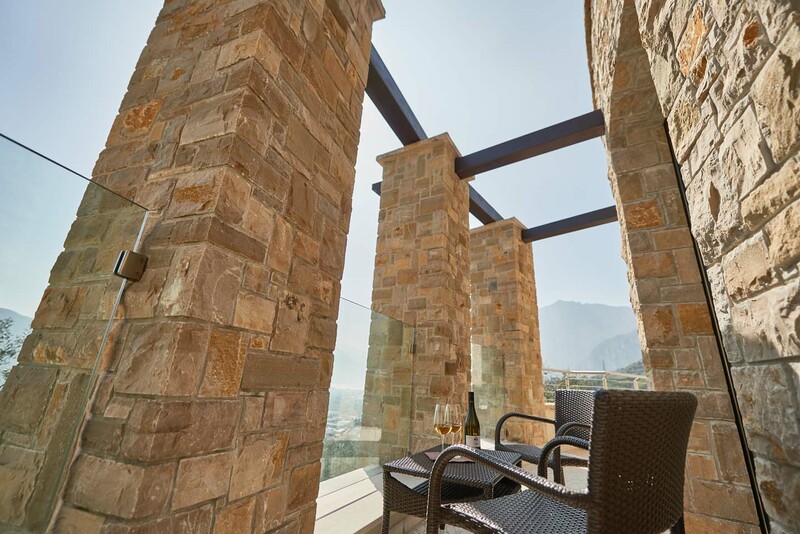 “The room of tradition” has an ancient stone tub that warms up the atmosphere and makes your room feel soft. 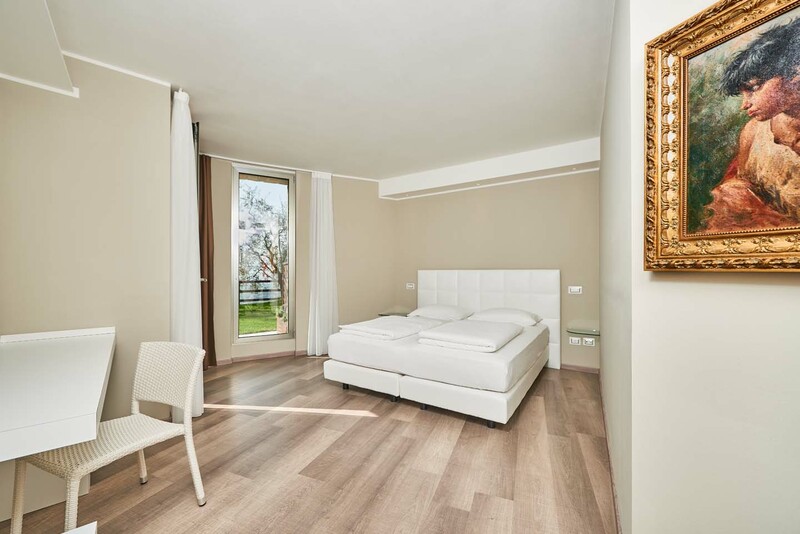 With its essential lines and bright colours this room is equipped with double bed, one extra “Open top” single bed, individually regulated air-conditioning, 40” digital TV, safe box, free wifi connection and minibar. 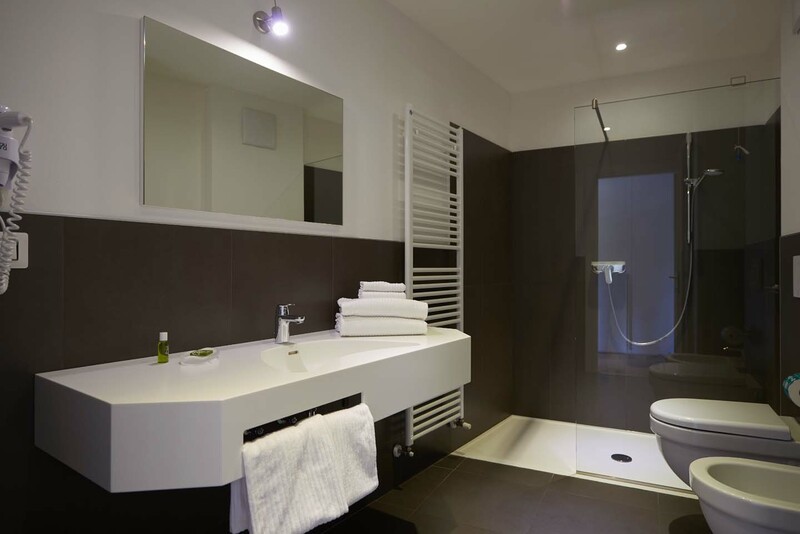 The contemporary bathroom in withe corian has a king size shower, hairdryer and courtesy set. 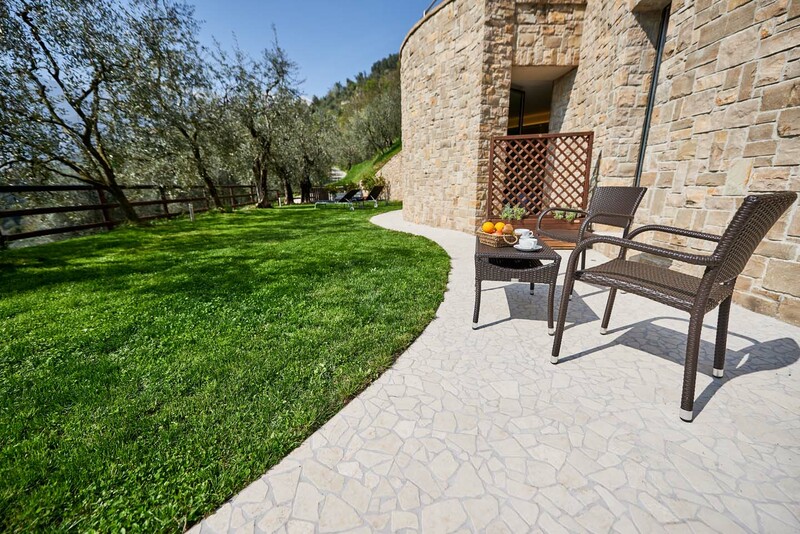 The Garden overlooking Lake Garda welcomes you with sun loungers and bath towels. The room, from its name, recalls the colour of the local stone. 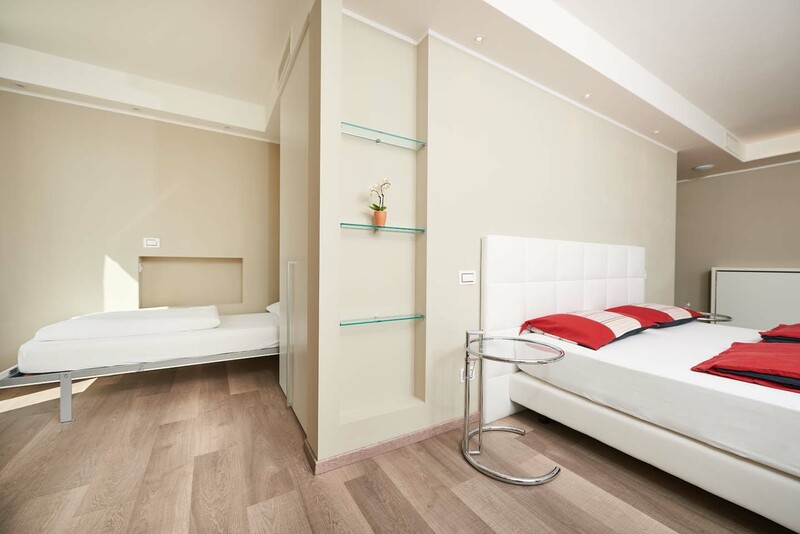 This room is an ideal solution for couples looking for an intimate and romantic corner. 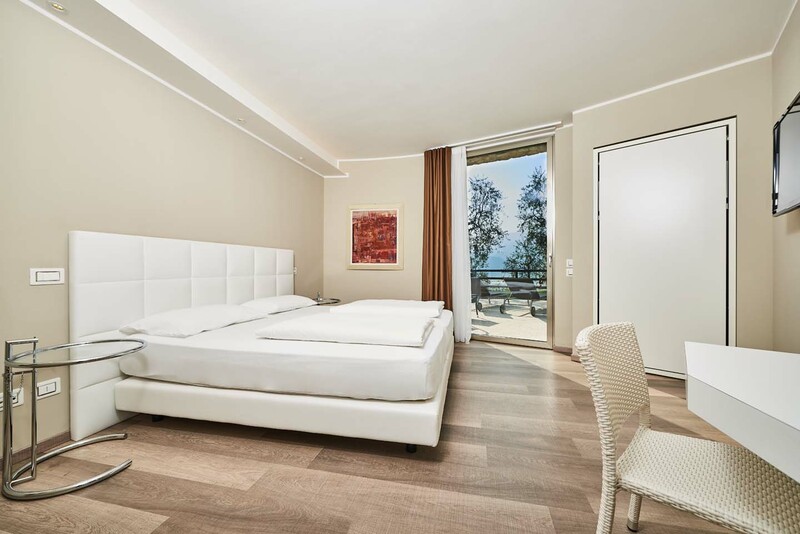 It has a double bed, individually regulated air-conditioning, 40” digital TV, safe box, free wifi connection and minibar. The bathroom in withe Corian has a King size shower, hairdryer and courtesy set. 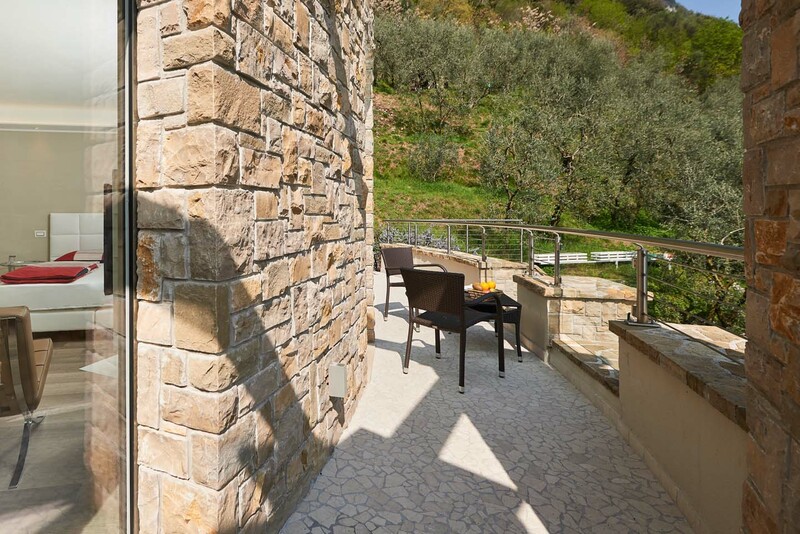 The Garden of this room is surrounded by olives and overlooks Lake Garda. It provides you with sun loungers and bath towels for moments of pure relaxation. 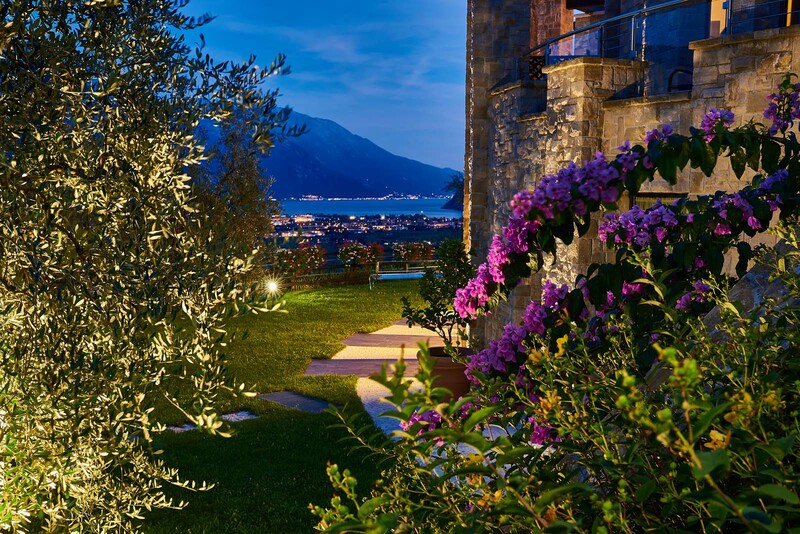 The bright room with balcony and Lake view recalls the historical “Limonaie”, greenhouses of stone for growing lemon trees, central to the Lake Garda’s economy over the past centuries. 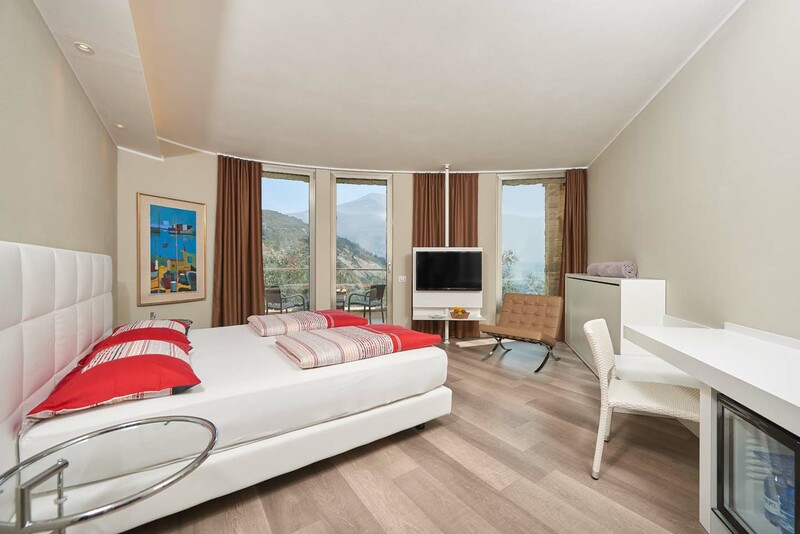 The room has an essential architecture and is equipped with the Barcelona chair by Ludwig Mies van der Rohe, double bed, individually regulated air-conditioning, 40” digital TV, safe box, free wifi connection, minibar and bath towels for the view terrace. 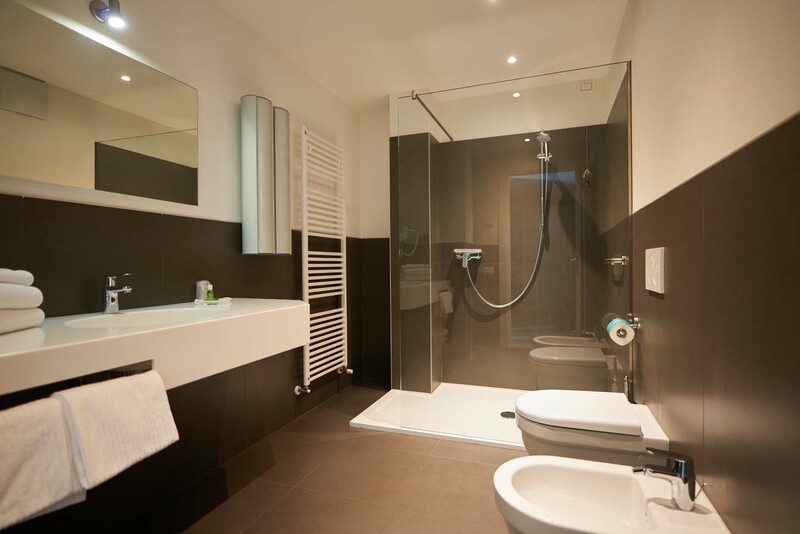 The bathroom in withe Corian has a king size shower, hairdryer and courtesy set.